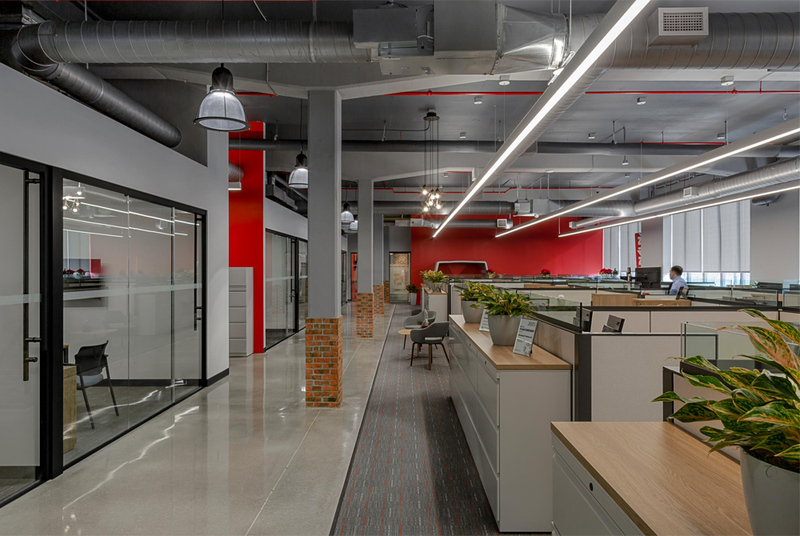 The design expresses the bones of the building by exposing concrete structure and ceilings, creating an open and loft like industrial backdrop to a light filled and open environment. 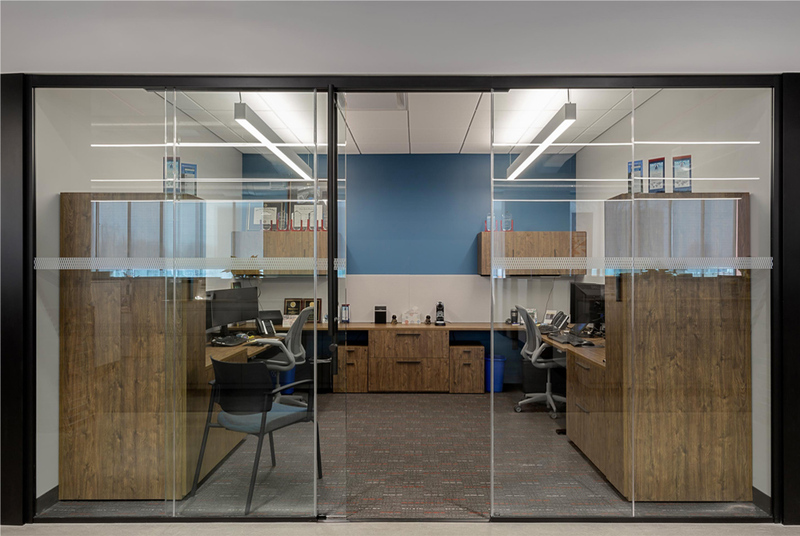 Floor to ceiling glass front offices, conference rooms and informal huddle spaces are positioned within the interior, allowing for the perimeter window line to flood light and views into the open work space. 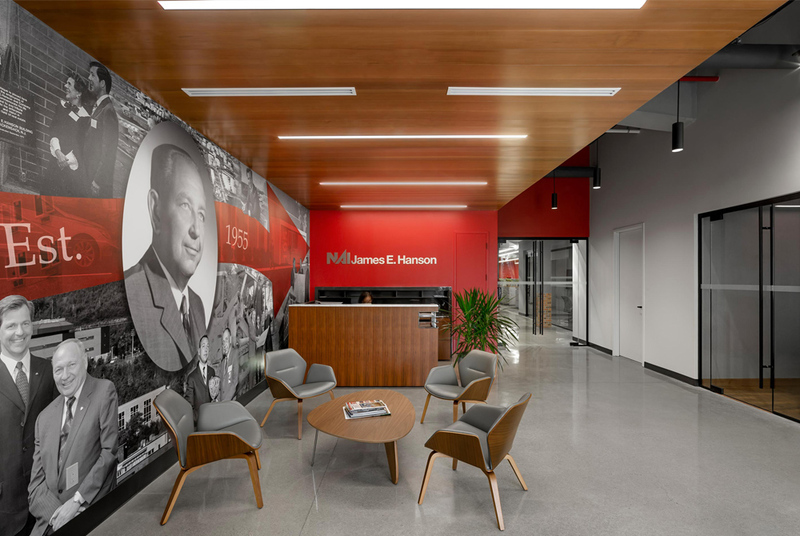 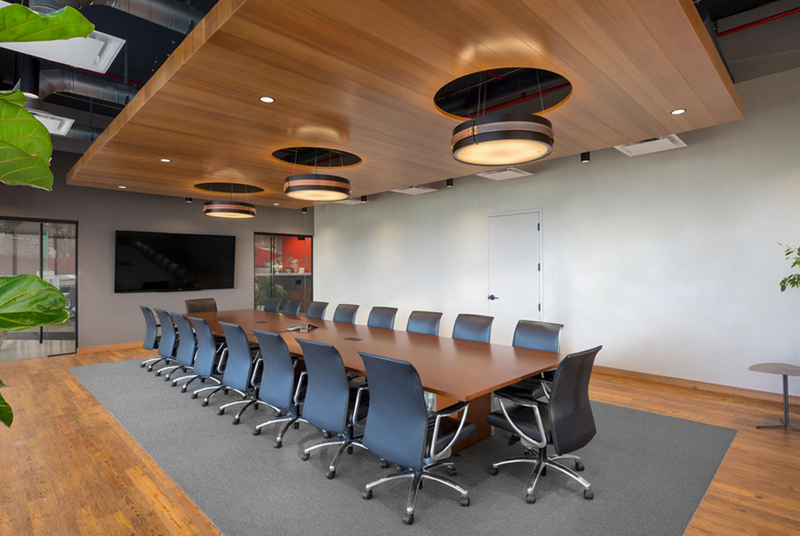 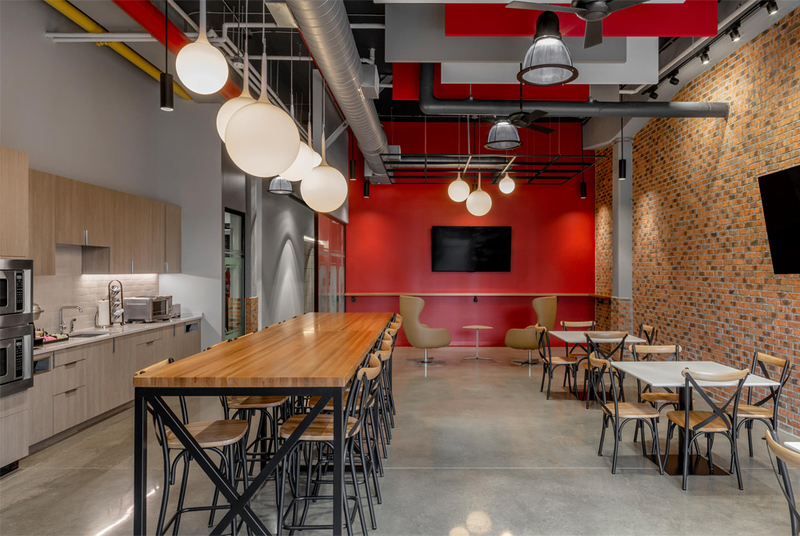 Polished concrete floors, exposed ductwork, warm wood tones, exposed brick and pops of color finish and refine the composition culminating in a space that is having a positive visceral effect on the company’s culture and the occupants sense of well-being.